I once read, “It is not joy that makes us grateful, it is gratitude that makes us joyful.” That truth sat in my mind for days and it is something that I daily try and remind myself. There are so many wonderful parts to this life, but with every day worries and stresses, it’s often easy to forget. Reminding myself to be grateful creates a chance for me to find joy in what is going on around me and more importantly, to appreciate and love the people around me. To be grateful for the every day, whether it is challenging or smooth sailing. There is a special spot in the week, where gratitude and joy await. Sunday mornings. It’s the one morning of the week where I can relax and take my time in the kitchen. Sunday’s usually involve a special breakfast and some sort of baking. Nothing too complicated, it is Sunday after all. Doughnuts happen to be a particular favorite in this household. 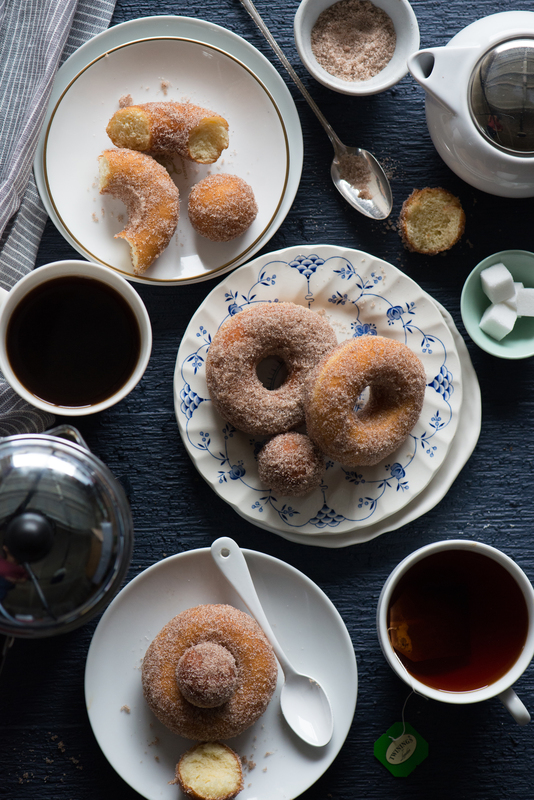 A strong cup of coffee, or tea, and a freshly made cinnamon sugar doughnut. See why it’s easy to be grateful on Sunday mornings? The joy of a great conversation, over coffee and doughnuts, is one of life’s simple pleasures. 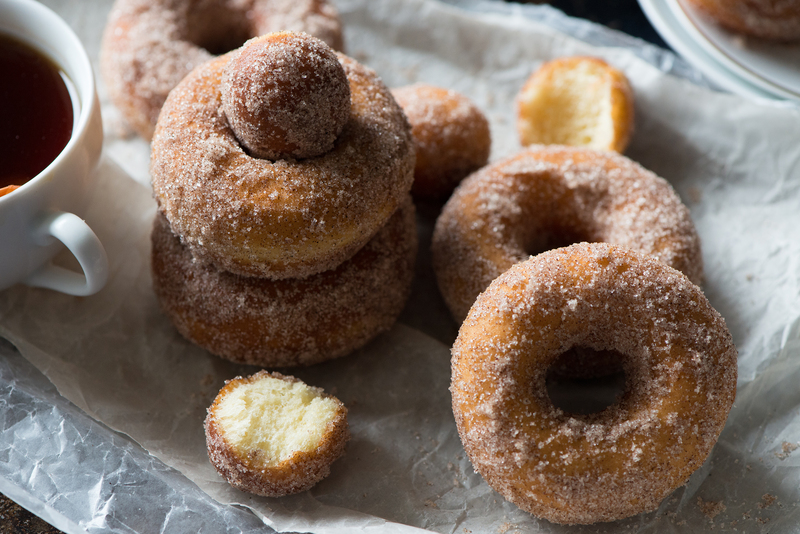 These doughnuts are light and delicate. Far too easy to eat more than one, so go ahead and enjoy yourself. You make them over a two day period, which allows the dough to develop as much flavor as possible and creates that desirable airy texture. Splitting your time makes it especially easy to put these together. You can also freeze any of the dough, after you’ve cut them, and fry them off a few days later. A little planning is all it takes. Share them with your loved ones and take a moment to sit in the gratitude that you have for this day. I for one, am grateful for them and for you. 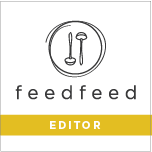 In a stand-mixer bowl, add the water and sprinkle in the dry yeast. Allow to sit for 5 minutes to active the yeast. Add the flour to the bowl and using the dough hook, mix slowly until the sponge is thoroughly blended. Transfer the sponge to a bowl and cover. Allow to proof at room temperature for 1 to 2 hours, until it has doubled. Once it has doubled you can begin the dough. In a small bowl, add the milk and sprinkle in the yeast. Allow to sit for 5 minutes to active the yeast. Meanwhile, combine the 3/4 cup of flour, sugar, and salt in a stand-mixer bowl. With the dough hook, mix on low speed, pour in the milk and yeast mixture, followed by the egg yolks and butter. Mix for a minute to combine. Add the proofed sponge and the remaining 1/4 cup plus 2 tablespoons of flour. Continue to beat at low speed until combined. Turn up the speed to medium and knead the dough for 4 to 5 minutes, or until it has formed a ball and cleans the sides of the bowl. If the dough seems wet, it may be necessary to add 1 to 2 more tablespoons flour. Cover the bowl and let the dough proof overnight in the refrigerator. The next day, place the chilled dough on a lightly floured surface and roll it out 1/2″ thick. Cut out the doughnuts using a doughnut cutter or a 2 1/2″ biscuit cutter (use a smaller biscuit cutter to remove the hole). Place the doughnuts and holes onto a baking sheet, lined with parchment paper and lightly dusted with flour. Drape the doughnuts with a sheet of plastic wrap that has been sprayed with nonstick spray. Allow them to rise, at room temperature, for 1 hour. Once proofed, they will have risen to approximately 3/4 inch. While waiting, prepare the cinnamon sugar mixture in a large bowl and set aside until ready to use. To cook the doughnuts, prepare a fryer or a deep large pot with the canola oil for deep-frying to 325°F. Use a thermometer to check the temperature and be sure to bring the oil back to 325°F after frying each batch. Carefully, add three of the doughnuts at at time to the oil and cook for approximately 30 seconds on the first side. Flip the doughnuts and fry for 1 minute on the second side, then turn back to the first side to cook for an additional 30 seconds, or until a deep golden brown. 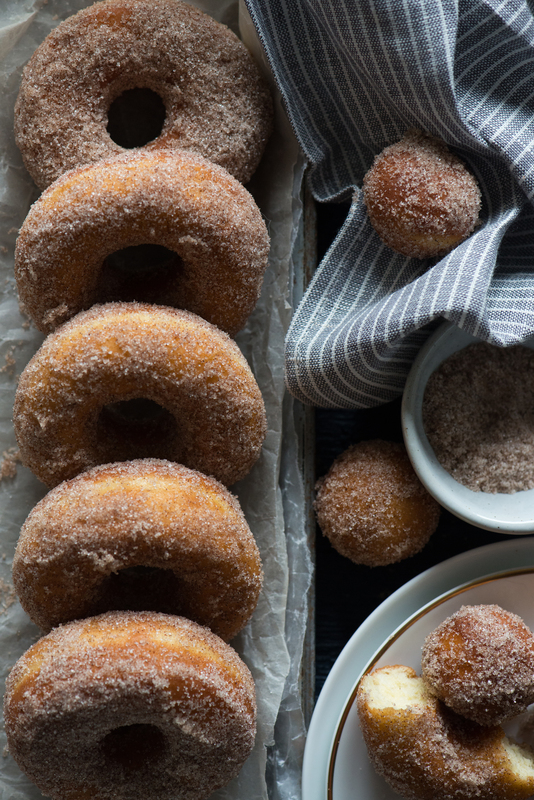 Remove the doughnuts, drain them briefly on paper towels, and toss them in a bowl with the cinnamon sugar. Repeat with the remaining doughnuts and finally end with the doughnut holes. Recipe adapted from Thomas Keller, The French Laundry.